This definitive work encounters the Bible’s view on the ultimate end of those who do not respond in faith to Christ’s sacrifice for all humanity. The historically and biblically founded principle of hell carries with it a dire message: the unsaved will spend an eternity apart from the wholeness, joy, and perfect love that is the presence of God. None of Christianity’s tenets are more heart-rending than that of hell. The pain of this subject has caused the church to gradually stop addressing it in sermons—thus allowing it to be harshly criticized by today’s more liberal theologians. A troubling, increasing number of Christians doubt or altogether deny hell’s existence today. This undermining of the Christian faith has tragic consequences for the church’s perception of the lost. Universalism and nihilism become the favored options and evangelism takes a backseat. God’s word must remain the foundation for this and all other matters of Christianity: what is recorded about hell in the Old Testament, in Paul’s letters, in Revelation—in Jesus’ words? 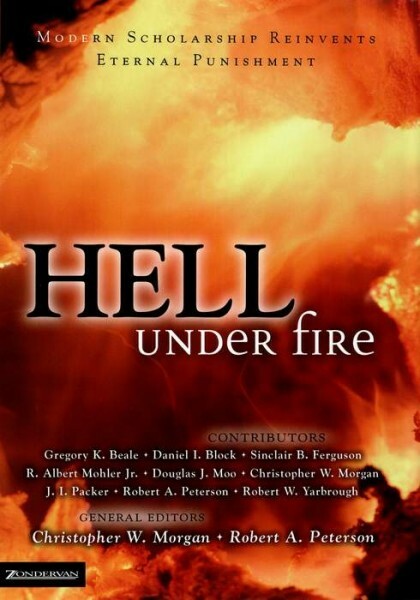 While remaining true to God’s Word, the authors of Hell Under Fire approach this topic from many theological fronts. R. Albert Mohler Jr. writes a complete overview of “The Disappearance of Hell” in terms of history, culture, and theology. Christopher Morgan uncovers three views of hell from the New Testament, and J. I. Packer contrasts universalism with the Biblical view of the afterlife. Morgan addresses nihilism in the same way. Later, Sinclair Ferguson writes about the degree to which hell should affect modern preaching. Many other works are included in this wide-ranging book. In the end, what God says matters more than what people want so badly to think—no matter how hard that is to accept. This book doesn’t stop at defending hell: it goes on to show us more clearly the love of Christ, who came into the world not to condemn, but to forgive.